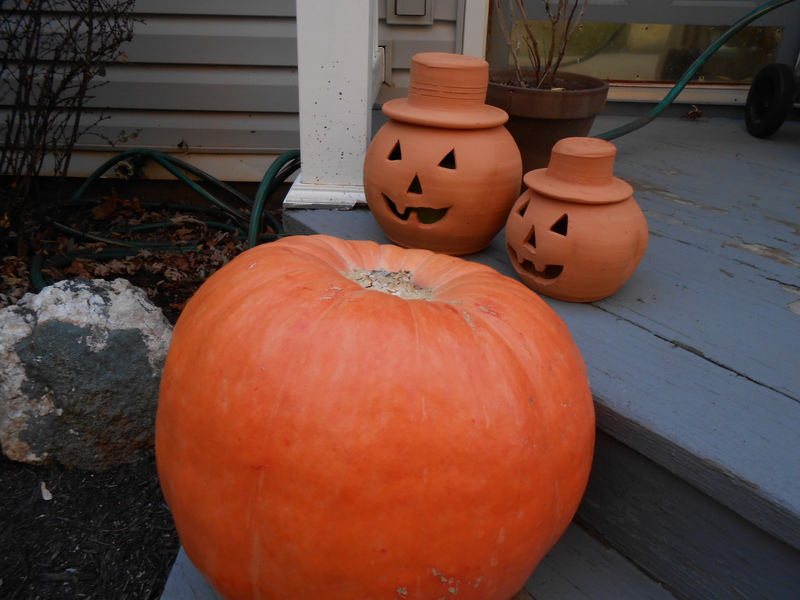 Later this weekend, this big boy will be chopped up and cooked down for Thanksgiving pumpkin pie. I hope you all have a lovely weekend filled with all kinds of good stuff! Posted on October 31, 2014 by LoriPosted in Food Likes, Friday Fun, Holidays, Repurpose, Z LikesTagged Friday Fun, Holidays, Z Likes. Next Next post: Who Is Hunting Who?